After a five year sabbatical following the tragic death of his wife and fellow agent Alysha, Keon Rause returns to the distant colony world of Magenta to resume service with the Magentan Intelligence Service. With him he brings an artificial recreation of his wife's personality, a simulacrum built from every digital trace she left behind. She has been constructed with one purpose - to discover the truth behind her own death - but Keon's relationship with her has grown into something more, something frighteningly dependent, something that verges on love. 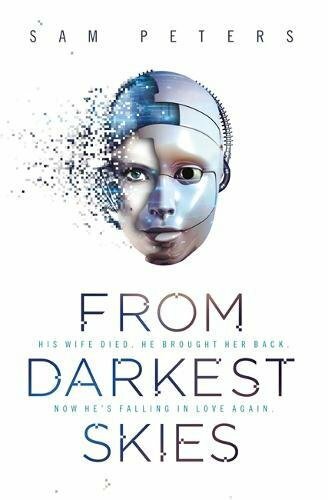 Cashing in old favours, Keon uses his return to the Service to take on a series of cases that allow him and the artificial Alysha to piece together his wife's last days. His investigations lead him inexorably along the same paths Alysha followed five years earlier, to a sinister and deadly group with an unhealthy fascination for the unknowable alien Masters; but as the wider world of Magenta is threatened with an imminent crisis, Keon finds himself in a dilemma: do his duty and stand with his team to expose a villainous crime, or sacrifice them all for the truth about his wife? 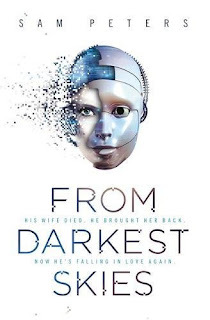 OK, a book that to be honest could have done without the Westworld addition to the cover, yes I know, it will sell the book and help put it into a niche that people can identify with but for me it feels like cheap shot that detracts from the story within. Yes there's AI, and yes it has sentience alongside being "better than the original" but for Skynets sake, AI is so much more than that. Right that said, lets onto the nitty gritty, the book has good prose, an interesting principle character and a Crime Thriller theme that works wonderfully well in this genre. What doesn't work however is the female cast members around him. They felt cheap and nasty, rather 2D rather than fully realised as they all seemed to be cut from two stereotypical cloths that for me made me feel that a lot of hard work was thrown way just to keep the author focused on the story. Yes at the end of the day its a solid story and one that I did have a lot of fun reading but when an author alienates half of the readership due to poor insight into the feminine psyche then you really have to pull up a chair and ask why.